Place Identity: A Sensual City. I recently reblogged a great post on environmental psychology by The Happy Spaces Project that looks at how people’s surroundings directly affect how they feel. Urban design takes this concept a step further in the concept called place identity. Place identity is how someone defines the perception of themselves through the environment around them. Read more here. The slight difference between the two is quite a big one: feelings vs. self-identity. The medium of urban designers is the physical: streets, blocks, plots, building frontages, and public space. But one of their purposes is to form rich communities based on heritage of place and interaction with the natural environment that people reference in establishing their self-identity. As soon as urban designers neglect this responsibility, developments can become monotonous, generalized, and undefined in any way. The result? A person can go to any part of the country, and sometimes the world and it will feel the exact same. What effects can this have on a person as they look to the built environment to define themselves? I’ve always prided myself on being a southern girl. I know lovely women who pride themselves on being New York girls. California girls…you got it! Midwestern girls…some of the best! I speak to people who enjoy exploring the country, but when they want to settle down they can’t imagine living anywhere different then where they grew up. While there are lots of cultural factors that contribute to this, the physical form is a big contributor to parts of the country feelings so different. And diversity is a good thing! Co-dwelling with nature can be expressed through a better integration with wildlife habitats, open green space, and natural landscape elements. Research has demonstrated that the more contact humans have with nature the less stressful and more healthier their lives are. This can be achieved on different scales and can be reflected in the underlying structure of a city. A landscape detail that represents the integration of the built and natural environments. Creating a place that is rooted in the past, but not stuck there is extremely important to how people create their own identity. If a place reflects only the past and not seen as forward-looking, then people might feel like they won’t be seen as someone who is forward thinking and relevant. However, if a place is constructed with no relevance to the rich history and character of its region and is designed in only a contemporary way it can lose its foundation as a strong and secure community. This can cause its residents to feel disconnected from a culture and a heritage that contributes to their identity. Designing a development that is empowering is reflected directly in the morphological layers of the physical environment that give people a feeling of strength and confidence. Empowerment relates directly to choice, and the ability of people to determine every aspect of their lives, even if it is walking to the store to get a pint of milk. Having an infinite amount of choices for the simplest of tasks creates a variety in people’s everyday life. With these choices comes a better understanding of their neighborhood, richer relationships with people, and be more confident in themselves. When laying out the streets and the block structure of a development they are constructing an urban fabric that will remain longer then the people who live there. Therefore it is important that while a design exemplifies the other three principles, it is able to be accessible to generations of people, especially as our world becomes more globalized. A clear distinction of public and private space will allow people to personalize their built environment, addressing their cultural expectations and needs. Examples of how the built environment can address the senses: sight, smell, sound, touch, and movement. A variety of street to building ratios can create visually interesting streetscapes. 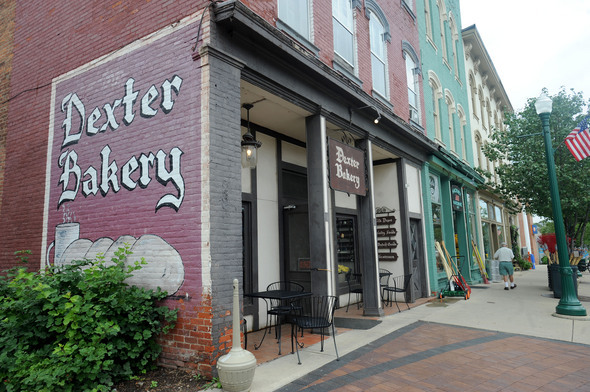 Mixed-uses allow for local businesses such as this bakery, which leaks delicious smells onto the street. People can hear the wind blow through clusters of trees and leaves crunching under their shoes on the path. 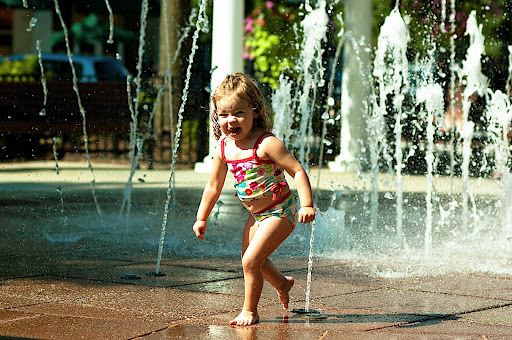 Water is a wonderful tool that allows people to interact with their built environment; people can’t help but brush their fingers, dip their toes, and get sprinkled by fountains. 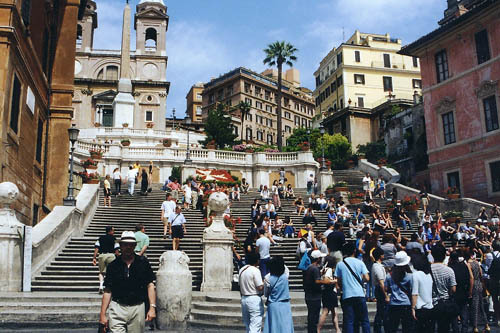 Stairs, ramps, and platforms allow people to experience the topography changes of the city in an interesting way. These are all examples of how addressing the senses in a simple way create intriguing environments throughout the typical cityscape. Urban designers have an opportunity to not only sustain the way people healthily operate in their built environment, but to create inspirational moments or a “humane response” that enriches and inspires their lives. Whether it is the experience of walking down a street, enjoying vistas over a valley, or connecting with a landmark across the city, all of these experiences contribute to peoples’ happiness and how they define themselves. Therefore it is a great responsibility of urban designers to carefully address each of these factors so that when working together, they will create a place that reflects the history, region, and natural environment in which people draw from to reflect their own identity.